Made of metal. 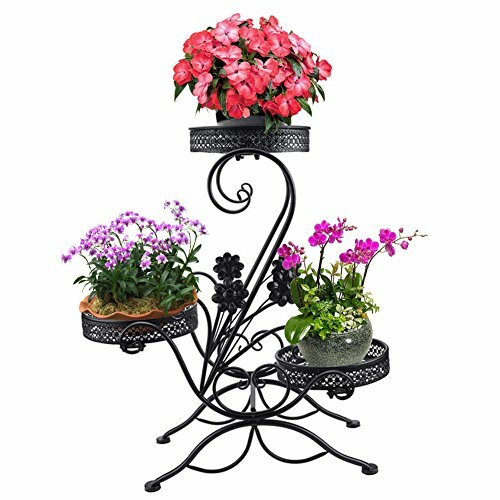 Arching metal plant stand with a classic black finish. Multi-level plant stand to place outside, very solid and sturdy. Sturdy metal material can hold different kinds of the potted plants. Beautiful special design potted stand for home and gardening fans. Approximate Dimensions: 23.62" L*10.03" W *26.8" H.
If you have any questions about this product by AISHN, contact us by completing and submitting the form below. If you are looking for a specif part number, please include it with your message.